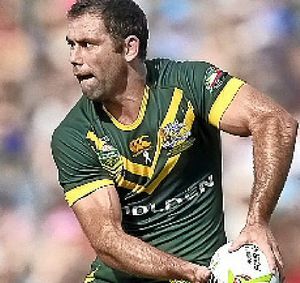 AUSTRALIA finished 2014 with a tenuous grip on the world rugby league No.1 international ranking. Four Kangaroos made the squad while the Kiwis had six representatives. Melbourne captain Cameron Smith (pictured) retained his spot after leading Australia in the Four Nations. But the Kangaroos lost the final to New Zealand, which was rewarded with three players in the pack - Simon Mannering, Jesse Bromwich and Kevin Proctor. Mercurial NZ halfback Shaun Johnson was an automatic selection after carrying off the Golden Boot award. Other Aussies in the World XIII were Greg Inglis, Michael Jennings and Johnathan Thurston, who missed the Four Nations tournament with injury.